One great aspect of cooking your own dog treats is the flexibility and control you have with the recipe. Dogs, just like people, can have allergies and diet restrictions. Fortunately, most recipes can be altered in your kitchen to meet your pup’s needs. 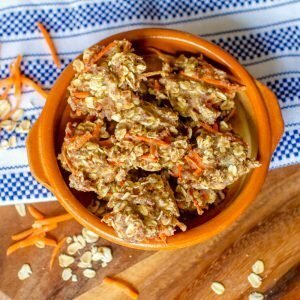 My dog, Banjo, doesn’t have many restrictions when it comes to her snacks, so I was able to substitute all-purpose flour (which is all I had on hand) for the oat flour originally called for in this homemade pretzel recipe for dogs. However, if your dog has allergies or restrictions, you can consider using oat flour, chickpea flour, quinoa flour, etc. Just remember when you make small changes that you might need to slightly adjust other ingredients to maintain the right level of moisture to create a perfect kneading dough or cookie dough/batter. My take on this soft pretzel recipe uses both oatmeal flour and rolled oats, along with applesauce and an egg. 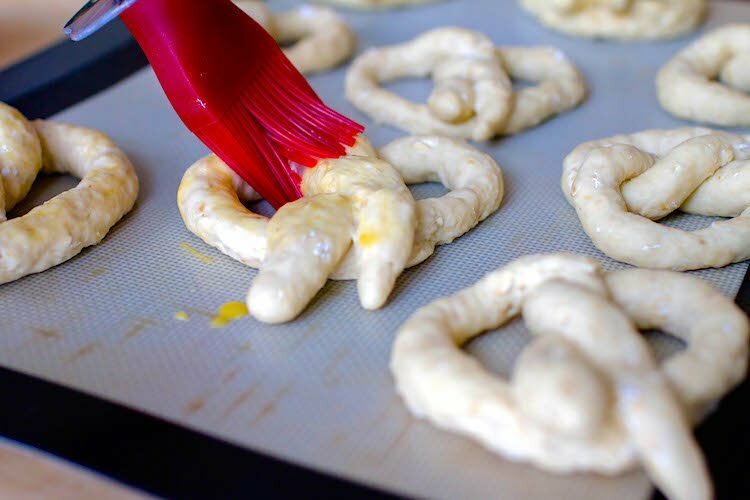 Brushing some of the egg over the tops of the pretzels will help create a glossy finish. 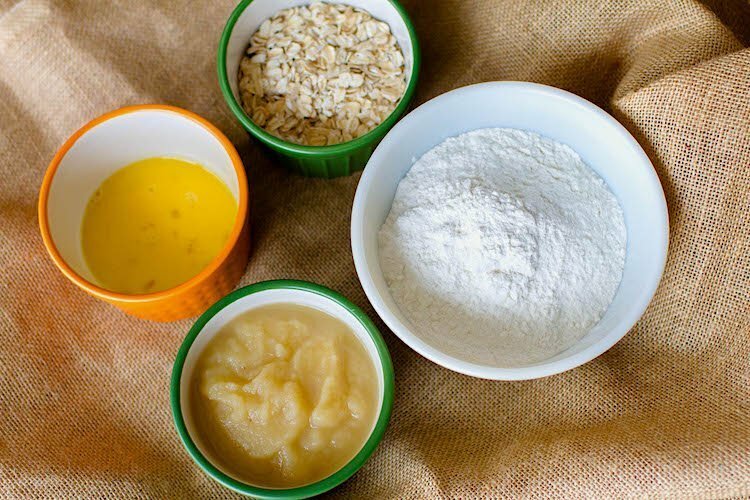 In a large bowl, stir together the flour, oats and applesauce. Reserve 1 tablespoon of the beaten egg and add the remainder to the dough. If you use a stand mixer, you may have to switch to the dough hook. Your dough should be tacky but not sticky. Add more flour or water as needed to reach the right consistency. Using about 2 tablespoons of dough at a time, roll the dough into a thin, round strip about 10 inches long. 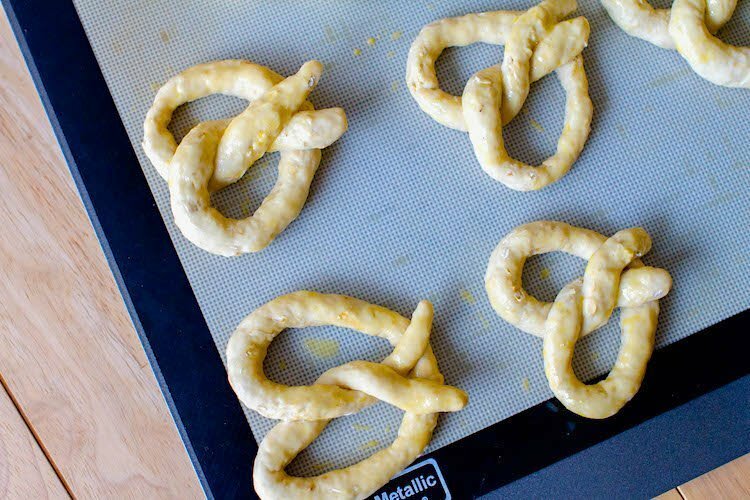 Form the strips of dough into pretzel shapes and place them on a nonstick baking sheet. Ready for the oven! 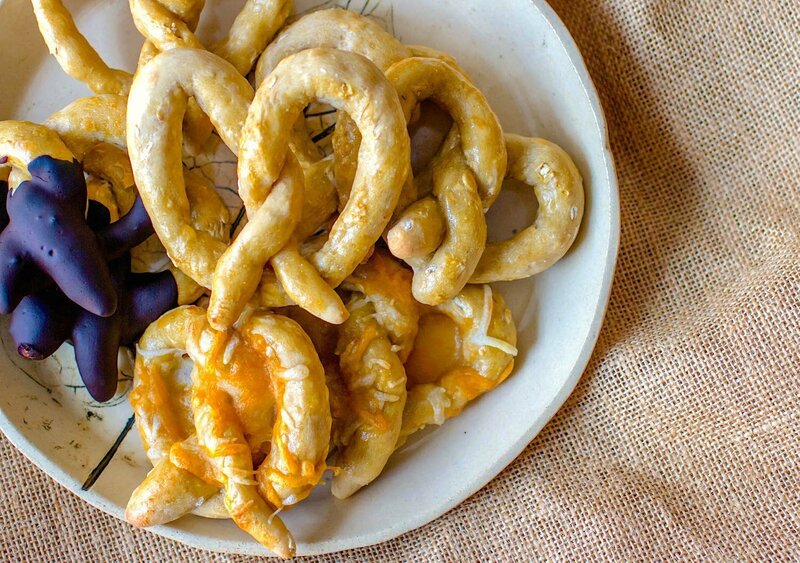 This pretzel recipe for dogs makes about 10–12 soft pretzels. If you’d like to include a carob coat to some of your pretzels, follow these directions: After allowing the pretzels to cool, create a carob dipping sauce by slowly adding boiling water, 1 tablespoon at a time, to your carob powder. Once the mixture has reached a thick, drizzling consistency, you can dip as many of your pretzels as you’d like into the mix. Allow them to cool and set completely before feeding to your dog. Which will your dog prefer? 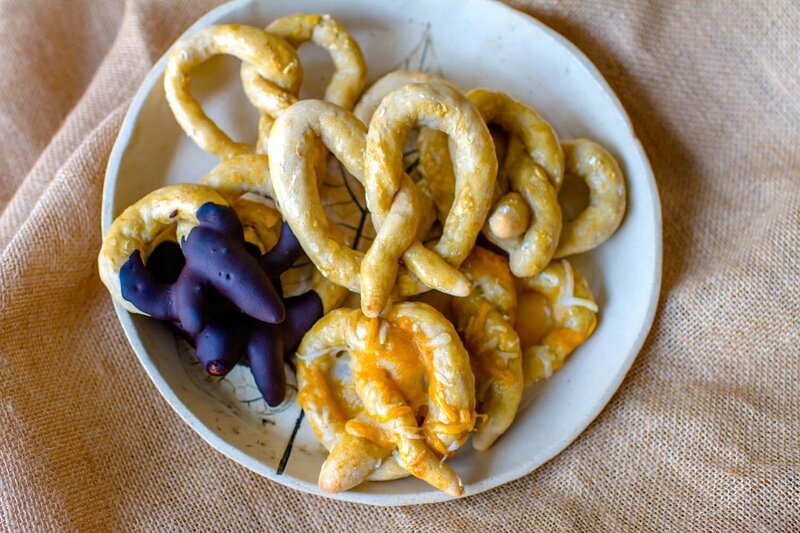 Melted cheddar cheese, chocolately carob or just plain pretzel? I love soft pretzels. Whether they’re sweet and dipped in a cinnamon glaze or salty and accompanied by melted cheese, soft pretzels are a weakness for me. And apparently that love runs in the family — Banjo was all too happy to gobble hers up in a single slobbery bite. 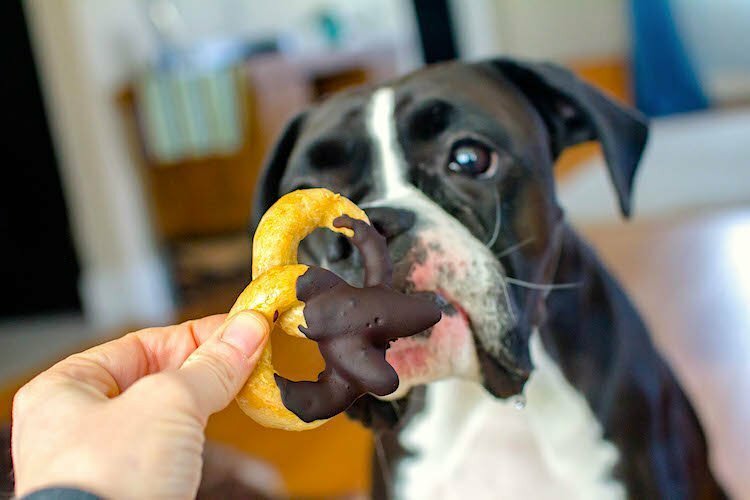 This pretzel recipe for dogs was reviewed by a veterinarian, Dr. Judy Morgan, DVM, CVA, CVCP, CVFT, and is safe for dogs in moderation, but is not a substitute for a complete balanced diet. This recipe was last reviewed and updated April 10, 2019. 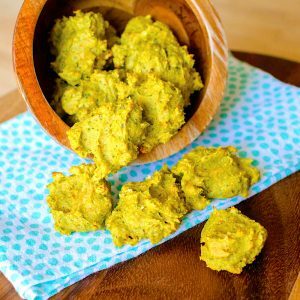 Dr. Morgan comments: “I love the use of oats and oat flour in this recipe. 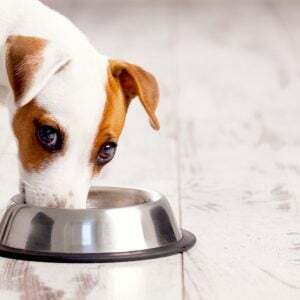 Oats are a great source of fiber, as well as Vitamin E and selenium, which support strong muscles.” Dr. Morgan operates 2 award-winning veterinary hospitals in New Jersey that offer an integrative approach to pet care. With a passion for healing her patients with whole foods, she has written several books on holistic pet care — including Yin & Yang Nutrition for Dogs, a holistic cookbook for pets.